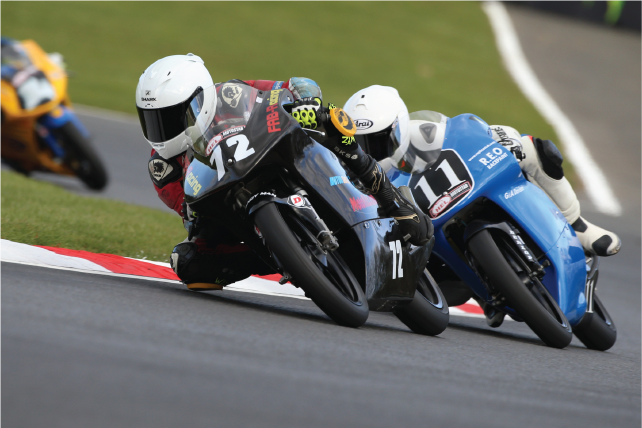 The eagerly anticipated round 2 at Brands Hatch was not a disappointment . As predicted, Cameron’s love for the track and experience here gave him even more confidence than the first round at Donnington Park. After putting in consistent lap times on the Honda 125 , and managing an outstanding result of qualifying 7th, engine failure in the first race was a huge disappointment for Cameron. The bike was worked on through the night by Cameron’s dad Chris, and was soon back to 100%. Pushing hard and persisting through race 2 Cameron achieved an outstanding 7th place, leaving him not only with a big smile but with 22 points and 11th in the standings . Round 3 at Oulton Park in a few weeks will see Cameron race his Engines Engineered GP125 for the first time. Backed by Fab Racing , the bike is a fully race prepared GP bike used by Bradley Ray last year and will see Cameron having to dramatically change his riding style and apply his skills to a bike that is more than a match for the others out there. 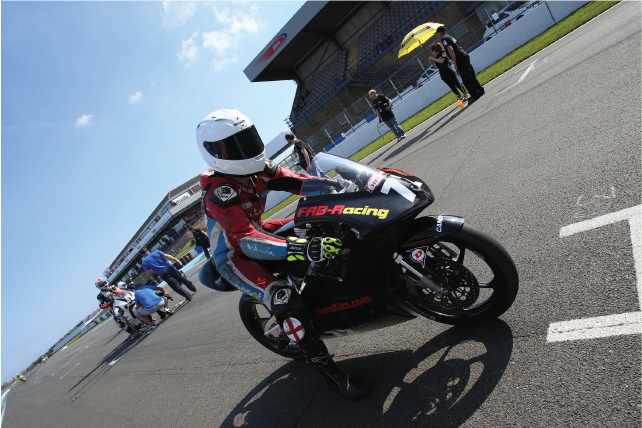 Riding an unfamiliar bike in unfamiliar surroundings , Cameron went into round 1 at Donnington Park feeling fairly apprehensive. The Honda 125, kindly loaned by Alistaire at Mororsense, is not a race prepared GP bike like the others out there in the series , although this gave Cameron a disadvantage it also gave him a much needed confidence , win a similar riding style to the less powerful bikes Cameron is used too , he could safely push hard and commit. During practice and qualifying Cameron’s pace was not a million miles off of some of the other more experienced riders, on much faster bikes. By Qualifying 2, he had shaved 2.5 seconds off his lap time. By race 2 , Cameron managed to get his lap times by a further 5 seconds. Finishing the weekend in joint 9th with 13 points . A fantastic result for the 1st round, the familiar riding style and power of the Honda 125 gave Cameron the confidence he needed to push hard and show that with commitment he can dramatically improve with every lap. With round 2 at Cameron’s home circuit of Brands Hatch only 2 weeks away, who knows what he might achieve on that familiar Tarmac. Copyright 2015 © Crunch Designs.